When considering your post-cesarean birth options, it’s good to know what type of uterine incision you have. The only way to verify this is by getting a copy of your operative report from the hospital where you had your cesarean. I recommend bringing copies of your operative report when interviewing care providers as most will want to confirm your uterine incision type. Sometimes women have a different incision on their skin than their uterus, so just because you have a low transverse (“bikini cut”) incision on your skin, doesn’t necessarily mean you have the same incision on your uterus. Low transverse incisions are the most commonly used method in America and come with the lowest uterine rupture rare. You may also want to get a copy of your medical records from your care provider to complete the picture of your prior pregnancy/pregnancies. Try to find a certified professional midwife. They do VBACS at home regularly, and you might find one who will do them after 4 c/s. I have a friend who had 4 cesareans,then discovered home birth and went on to have 5 more children…she was fine! I am wanting to vba2c with this baby. I have had 2 vag births and 2 c-sections one being an inverted t. I cannot find a provider in tn who will do it i need help if u have any info that cn help please email me. The preponderance of evidence suggests that most women with one previous cesarean delivery with a low transverse incision are candidates for and should be counseled about VBAC and offered TOLAC. Conversely, those at high risk for complications (eg, those with previous classical or T-incision, prior uterine rupture, or extensive transfundal uterine surgery) and those in whom vaginal delivery is otherwise contraindicated are not generally candidates for planned TOLAC. By using the word “generally,” they are leaving the door a little bit open provided you can find a provider. The risks are significantly greater for women who have T incisions. The limited research that we have on T or J (I’m thinking of the Landon 2004 study) found that the rate of rupture with a classical, T or J incision was 1.9% (1 in 53 labors) in comparison to 0.4% (1 in 240 labors) for a non-induced/augmented VBAC after one prior low transverse cesarean. In other words, the uterine rupture risk is 4.75 times greater in a classical/T/J incision vs. a low transverse. The number of women who had classical, T or J scars in that study was very low (105), so the accuracy of that stat is questionable. It’s my understanding that no large (at least 3,000 women) study has been done on T or J incisions. The limited evidence indicates that the risk is significantly higher with a T or J incision in comparison to a low transverse incision. Whether a mom wishes to pursue a VBAC after classical/T/J incision knowing that information is up to her. If you decide to plan a VBAC after a T incision, I would encourage you to research the risks and benefits of your options. Ask for evidence when people make claims. Don’t just accept something as truth simply because everyone in XYZ group believes it to be true or heard it from a friend, OB, MW etc. Ask for links to evidence (medical studies). This is not challenging others. This is how people LEARN. If you asking for sources angers people, it’s probably because the evidence does not exist. Be a discriminating broker of information. Don’t just accept something as truth because someone posts it on Facebook or writes about it on a website. Look for citations to medical studies and then read those if you can. I stress this because there is a lot of misinformation about VBAC on the internet. Sometimes what is accepted as true is not. There are women who have VBACed with a T incision. You just have to ask yourself if the risks are worth it. Some women say yes, others say no. 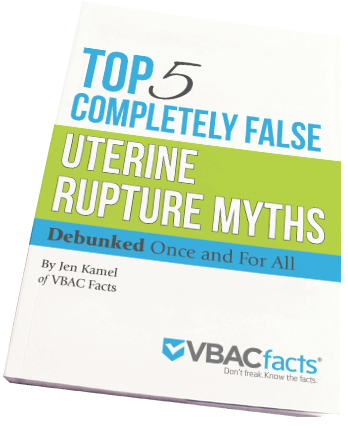 If you look, you will find women and groups who will encourage you to have a VBAC. It is easy for people to unequivocally encourage you because they don’t have to live with the possibility of a bad outcome. Only you can decide if it’s worth it to you. I don’t mean to be a complete downer. Just weight the risks and benefits and see what sits best with you. ThiS too happened to me. I was in labor for 36 hrs and no epidural. Pushed for two hrs and was told that there were lots of concerns for my baby’s heart rate. Well I was not in the right mind set to argue And believed my doctor was right. Well while reading my records later on, it just says I was too tired to continue pushing. Nothing about my sons heart rate. Never was I asked if I was too tired. Nothing was mentioned to me. Thry took that option from me. Maybe I was too tired I can’t say. BUT I should have been asked. I think they were just tired of me. This type of practice should be illegal. It makes no sense. They can just lie to their patients and have no consequences. It makes no sense. I am hoping to get pregnant again soon and hoping for VBAC more then anything. I am going to drive over an hour away to a 15% csection rate hospital for my best chances. Where I live now it’s banned to even try to VBAC. Ugh. Always an uphill battle! I am so glad I stumbled upuon this article. I just got off the phone with my OB requesting my medical records (ensuring that they would include my surgical records). I am 6 weeks pregnant now and since my last delivery a year ago, I have been terrified of having a repeat situation. I live in a small town with only one choice for doctor/hospital. My daughter was breech from about 34 weeks. They just patted me and told me not to worry, we’d do a version at 38 weeks. My first was delivered at 38 weeks, so I wasn’t comfortable with that number.. they didn’t care. I went in with pain 3 days before delivery (at 36 weeks), was asked “Who told you pregnancy wasn’t supposed to hurt?” and told to reschedule my upcoming Friday appointment for a week and a half out! I didn’t follow my instinct, instetad I followed my doctors advice. I labored and delivered on Saturday! I had early false labor since 34 weeks, hospitalized twice for observation. I labored drug free for 2 hours until I was 9+ cm and *that* is when they dicovered Lyla was breech! Stop Pushing! I’m NOT PUSHING! Emergency C-Section… nurses are trying to catheterize me, Surgeon says: No!! The baby will deliver if my bladder empties. The anesthesiologist yelled at me, so I yelled at him.. It was horrible. I was panicked. Nobody was taking care of me… just running around trying to cover their asses. And I didn’t even know my baby 🙁 I didn’t even hold her or see her for 2 hours. The all just told me, “these things happen”. No, they don’t have to. And it’s that attitude that terrifies me. I was so depressed, so sore, so drugged… My incision still hurts a year later… I had an “aha moment” yesterday and contacted an out-of-network midwife to possibly perform a home birth! Scary and so liberating at the same time… keep our fingeres crossed. I really need to find as much info on VBAC’s as possible. I know whats going to happen, im gonna have to fight toth and nail for it and they are gonna make it so that it takes to long and i have no choice but to have a csection. I am currently 35 weeks preggo and due to complications with medicaid have not seen a doctor yet AT ALL. Hopefully will see one within the next week. But my story with my csection with my first son went like this. I was told i had to be induced because of gestational diabetes and they didnt want me to go past my due date, wich i could understand cause of the high risks of complications. Well my doc had set up a specific regiment of what to do and the order to do it in. When we discussed it it all made sense and actually made me feel less stressed about being induced. Well i got to the hospital the day i was to be induced and a totally different doc was there at that time. She completley went off of what my doc said. He said that if i wasnt 5 cm or more when i came in that they were going to do cervadil first to get me dilated to atleast a 5 THEN they were going to break my water. well this doc decided that me being at 2cm and about 50% effaced was good enough to have my water broken right then and there. Me not knowing any better and her being the doc i said OK. Before she broke my water i was having some pretty regular strong BH contractions which were NOT painful. Well she broke my water and they STOPPED COMPLETLEY as in flat line on the monitor. I thought this a little concerning so called the nurse in and she went to doc to tell her. doc told her it was perfectly normal and nothing to worry about. I was really tired so even though i didnt think that was right i left it alone. 8 HOURS goes by with the exact same thing going on NOTHING. Another doc comes in and he acts all mad that i had been left like that while doing nothing and sais he will IMMEDIATLEY get me on the pitocin to get things going. 2 hrs later someone FINALLY comes in and gives me the pitocin. Long story short because of lack of progression and my sons heart stopped beating 3 times they decided to do a csection. The surgery itself went great with no problems. Only problem i had was that i was sooooooo cold from the high doseage of meds and was soooooo sleepy. I was shaking so hard they had to cover the top part of me up with about three blankets to slow my shaking down some. the second day after the csection found out my son had an infection and couldnt keep his formula down very well so they took him to the NICU. That same night i went to get into bed and all of a sudden started shaking really hard and got extremely cold, Nurse checked my temp and it was almost 104. So long story short son was in NICU for three days. I was in hospital for a week and had a PIC line in my arm for antibiotics at home for 10 days afterwards. I think it was from my water being broke for so long without any action, then the csection on top of it. I dont know though. But i think that if my docs orders would have been followed i might not have needed it. I REALLY DO NOT WANT TO HAVE A CSECTION AGAIN. I dont want the pain of afterwards, i dont want the major surgery again. I just want to have a CHANCE at least of having a regular birth. With an epidural granted but still LOL! I need info though so i can fight these docs if i have too so if ANYONE can help me PLEASE!! I am having my second about 13 months after my first. Is a VBAC even possible if the births are that close together and with me having such a horrible time after the first one? I am so sorry that your first pregnancy ended with so many complications! For what it’s worth, maternal infection is the most common complication from cesareans, so you might have acquired an infection even if your water had not been broken or if the on-call OB followed your doctor’s orders. Hopefully your next labor will go more smoothly! – On being nervous about planning a VBAC. – On the misinformation some women receive when talking to their OB about VBACs. – The significance of uterine thickness. – A response to a comment left by an OB on scare tactics vs. informed consent. – The National Institutes of Health VBAC Statement, which was one of the major drivers to help change ACOG’s latest VBAC recommendations. – On the amount of time between cesareans and conception. But the first step is to find a doctor! Be sure to read up on how to find a provider and the questions to ask them! Reading all these stories gives me courage but also fear. I’m on my 3rd child after 2 previous c-sections. My first was because I wouldn’t dilate past 4 cm after 26 hours. Then with my 2nd I was was adamant with my doctor I wanted to try vbac, he tried to discourage me every month I went in for a check up. Finally when I went into labor I told them c-section so they allowed me to labor for app. 6hrs then lied to me and told me that my son’s hr went below 60, which I discovered was a lie, it never went below 100. So my husband and my doctor got into an argument because he told my doctor that he had to give him a valid reason as to why I had to go for for a c-section. My dr was appalled that my husband questioned him so he told me that I had to sign some waiver where the hospital or him would not be liable when my baby died. That was it for me so I gave in and had a c-section. Now I’m on baby #3 and I thought no VBAC’s after 2 previous c-sections. Thanks for the information I didn’t know I could request my medical record to find out why I needed a c-section. I will now so I can make an informed decision because I’m 7 months along and I terrified of having another surgery. i was actually told that i had gential herpes with my first and was had an emergency c-section which took hours before they got to me turns out i had ingrown hairs from shaving my bikini line while i was pregnant but since i could not see because of my belly i took their word for it when i got my records it stated nothing about herpes but maternal request. my second was repeat in my chart it stated elective. my third i was told i could vbac up until last minute then they said i had placenta previa and had to consent for section or 90% chance both me and baby would die of course i signed but on chart had no mention of previa stated elective. my fourth also stated elective as they had forced me to sign once again saying fetal distress and after giving me the deadly pitocin but told me it was just fluids they said i had a bulge in my uterus and it was about to burst but agian no mention in the chart. I am now pregnant with my fifth and jus 10 weeks left and after educating myself i am doing a homebirth. I know my sons heart rate was in distress during my first c-section was was unaware of the things I could have done to ease distress and was rushed into a c-section. This lack of knowledge allowed something to happen that if armed with more information and less fear probably would not have. My second section was due to the fear and lack of support from my OB and was listed in my records as a requested section after VBAC complications discussed which was truly the furthest from the truth. I have had 3 c-sections and can relate to these stories! My first, I went in on my “due” date to be induced because my husband was deploying. I had not done any research and had no idea what I was walking in to. I never even dialated past 1 cm before they said “You can have a non-rushed c-section now or a possible emergency one later. Your baby’s heart rate is slow to recover after your contractions.” So, off I went, in a German hospital. Recovery sucked and was even worse since I had no family over to help me after my husband left. Number 2 was a “failed” VBAC in AL where I was told they were supportive of me. But, I wasn’t even there an hour when they said the same sort of thing about the baby not handling it. Never even made it to 2 cm! Last one, of course, I didn’t even get a choice on because my dr. has to be in the building. We have a small hospital and the dr’s office is 2 minutes away. He could make it to the hospital faster than an in-house dr. could walk across a big city hospital but, because he’s not “in the building” they’re not allowed to do VBACs. I’m all kinds of mad and hurt about my experiences. I have 3 kids but have never given birth! I would love to have another baby but won’t just because I don’t want to have another surgery. Anyone do VBAMCs??? What is so frustrating about ACOG’s “immediately available” recommendation is that they did not provide a definition for what that meant. So it was up to hospitals to decide what “immediately available” meant resulting in different hospitals coming up with different definitions. There is nothing in ACOG’s Practice Bulletin No. 5 or 45 that says the doctor must be in the building, but that is certainly how some hospitals interpreted it. Others said that the doctor had to be on the actual L&D floor. Ultimately, as the 2010 NIH VBAC Conference concluded and the ACOG Practice Bulletin No. 115 concurred, the “immediately available” recommendation did not make VBAC more safe, it only make repeat cesareans more common. Read more about ACOG’s new guidelines and VBAC in rural hospitals. I am so glad I found this site. I felt like I was the only woman I know that was lied to by her doctor. I was basically forced into my section with my first baby. It was all due to the doctor about to go off his “watch”. He wanted to make sure he got paid for my delivery not the next doc on call. He convinced me that my baby was in distress and she was delieved 15 minutes before his shift ended. There should be some way to punish doctors for doing this…it is such a betrayal. I recently received my medical records from 8 years ago, my c-section. When I was in labor they told me my son was in fetal distress. My records say that I was at a failure to progress. Now, I was in labor for 9.5 hours. I was dilated to a 4 when they told me it was time to do a c/s. My family and I remember that I was “progressing” just fine. I’m very upset that I underwent unnecessary surgery due to the fact that my dr had a tee time or dinner with his wife or whatever it was that was more important than allowing me to give a healthy birth to my son. I would have never known this until I decided that I wanted to try for a VBAC this time around. I am grateful to know the truth and hope that something can be done about the way women are treated. It is hard for me to trust any dr now, knowing that I was lied to just so my dr could go home that day. Thank you for doing these studies. I only have one bit of paperwork from the birth of my daughter, but it says “Non-reassuring Fetal Status” was the reason for my c-section. I can’t find any data anywhere that says whether or not NRFS is a valid reason or if it’s just another way of saying “failure to progress.” Does anyone know? Interpreting non-reassuring fetal status and/or heart tones are really an art in addition to a science. I would recommend getting a copy of your medical and surgical records and reviewing them with a VBAC supportive care provider. I was told the same thing but I was induced because my doctor have told me that they don;t allow women’s to be overdue more than 1 week so I did get induced and had my water broken and was in labor without an epidural for about 12 hours of a long horrible labor pains brougth on by the drugs to put me into labor. (didn;t know that until I researched it). I finally went for the epidural and it numb all over I couldn’t walk but I really didn’t walk before then because my doctor had me on contiuous monitoring. My doctor didn’t come to see me until she was about to give me my “emergency c-section” and I was about 7 cm and the doctor told me my son;s head was getting stuck because I wasn’t dialting fast enough so I just agreed with having it but I really wanted to have avarginal birth after I went through most of labor and I gotton so close. But now I known I should have went with a midwife and I could’ve had a chance to have my son the right and natural way. But my doctor seemed like she didn’t care and wanted to cut me in a way. Also since my horrible experience with my labor and delivery (c-section) I am in college on my way top becoming a nurse-midwife to help other women who want to have a varginal natural birthing process. I was left feeling scared and inadequate after 27 hours of hard labor because of how they told me I needed the cesarean. It turns out that it wasn’t necessary, which leaves me a little angry that I was forced to start motherhood with unnecessary emotional and physical wounds. That happened only 12 weeks ago. I guess I’m over it, but I am left even more afraid of having our next baby than I was our first. I have been doing a lot of research and have learned a lot since the birth our our first baby, and I am convinced now that VBAC will be the way to go next time around. Ugh.. I think it’s irresponsible on the part of medical staff at hospitals to do as they please with women. I suppose it’s very possible that they do want the best for their patients, but it seems they don’t know that women in labor are not sick! We don’t need to be rescued in this case (usually) and us women should be better prepared. At least I know I didn’t prepare as much as I could, I went into labor still scared, though I thought I was being brave, especially for those 27 hours. Women should help other women (I know I feel the need to) understand that childbirth is not to be feared. I didn’t have a woman help me understand. Women should help women. I love the concept of doulas and midwives. I can’t imagine our next birth experience without them. I was told that it doesn’t matter how our baby gets here as long as she’s healthy. I think that it matters most that she’s healthy, but it also absolutely matters how she gets here. Ask any woman with a good or bad birth experience. My birth story reads like a dictionary of OB scare tactics and abuse. Even after repeated refusal of a cesarean, the OB office (at a regular weekly appointment, 38 weeks gestation) separated my husband from me, we were each harassed, cornered, bullied and threatened with DCF involvement and investigation. My medical records says ‘maternal request’ and my birth plan, which he received several weeks earlier requesting minimal intervention, was no where to be found. In the OR I was not numbed before the spinal procedure, he had to ‘pull out’ and start over 4 times, I screamed out in pain while my OB was laughing and patting my husbands shoulder. I believe it was retaliation. 14 months later, I birthed my 2nd child at 41 weeks, in my bedroom, in a birth tub with a midwife and my husband at my side. HBAC’s and VBAC’s are possible! If you think your provider might not support your birthing wishes, FIRE THEM!, look for someone new, even if you’re 38 weeks, seek out a supportive provider. Consider a homebirth midwife. Contact ICAN for referrals. You CAN do it! You ARE strong enough! And birth, really does matter! I can’t believe how offen this happens! I was given many reasons as to why I “needed” a c-section. First the nurses said that the baby’s head was too big, then one told me that my hips were too narrow, a Dr. (not mine) told me that the hospital doesn’t allow women to labor for longer then 24 after getting admitted, and finally that my baby’s heart rate was falling and that she was going into distress. Now, 4 years after the c-section it’s now almost impossable for me to stay pergnant. I’d want to have a VBAC maybe even a HBAC if I ever got the chance. My records showed that they broke my water at 30 weeks (didn’t know that!) They also made it seem that my c-section was elective due to fetal decels…I was only 32 weeks and not in labor, they told me that they HAD to get the baby out right away. What didn’t make sense to me was that then they took many hours to actually do the c-section. If it was such an emergency, it would have been done right away. Obviously, it wan an elective C but I wasn’t aware of it! Now I’ve had 4 Cs because I was lied to and planning my first home VBAC, because no dr will take me after 4 Cs. It’s very frustrating that they didn’t even make me aware of how dangerous Csections are, just talked about the dangers of VBACs. Same story here! When I was induced, my doctor started talking about doing a c-section right away, which made me mad because of course, i wanted to try to avoid one. 8 hours into labor, at 5am, she said ‘we really need to do a c-section, the baby can’t take the labor anymore’ so since it was ‘the best thing for baby’,i said okay. 6 months later i got my records and it basically said i suggested it. I think alot of it had to do with me being 16 at the time, so they thought they could do whatever. Then of course 17 months later when i had my 2nd son, the doctor scheduled another csection simply because of my first. This is exactly what happened to me. I was told they were concerned about my baby’s heartbeat and it was “time to do a cesarean.” But when I got my notes a year later there was absolutely nothing about the heart rate. The only reason they put was, “failure to progress.” I think the real reason was more likely a combination of “failure to progress in sterile hospital environment” and “hospital had a lot of women coming in in labor and needed the room.” I wish I had known then what I know now.